Women’s Running launched in 2010, and was named Consumer Magazine of the Year 2011 and Consumer Media Brand of the Year 2015 at the PPA Independent Publisher Awards, as well as winning four other industry awards. 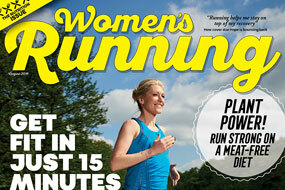 It claims to be the UK’s only running title dedicated to helping women enjoy and improve their running. The deal includes the Women’s Running website which has over 90,000 unique users per month, as well as the Facebook community of some 220,000 followers, says Anthem. The purchase does not affect Men’s Running, which remains a Wild Bunch Media brand. Anthem Publishing is the current PPA Independent Publishing Company of the Year. It publishes 13 monthly and bi-monthly magazines in the music, food and mindfulness sectors, along with associated websites, social media pages and live events.